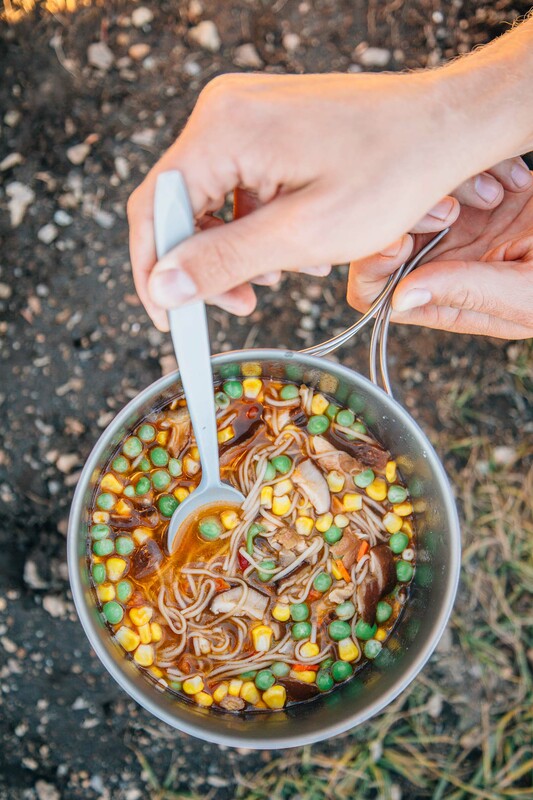 Forget the ramen from your college days – this revamped version is on a whole other level. 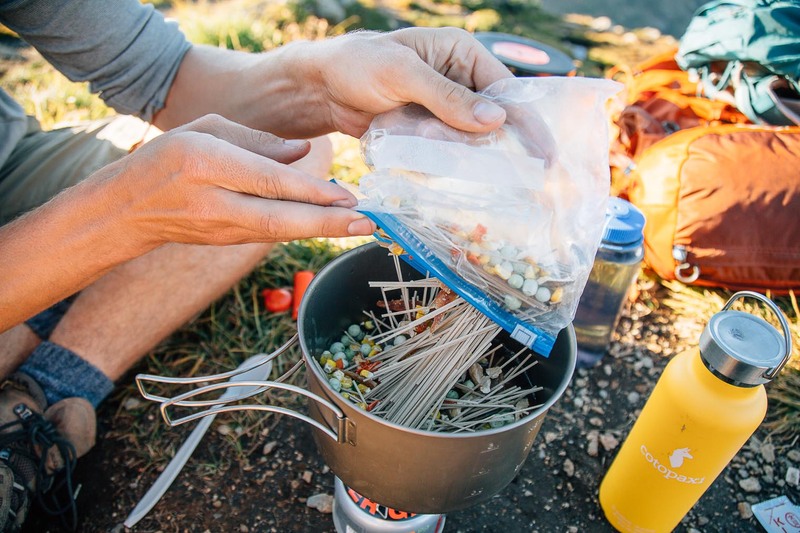 Protein-packed soba noodles, veggies, and a savory, spicy broth, this is a backpacking meal that you will look forward to all day on the trail! 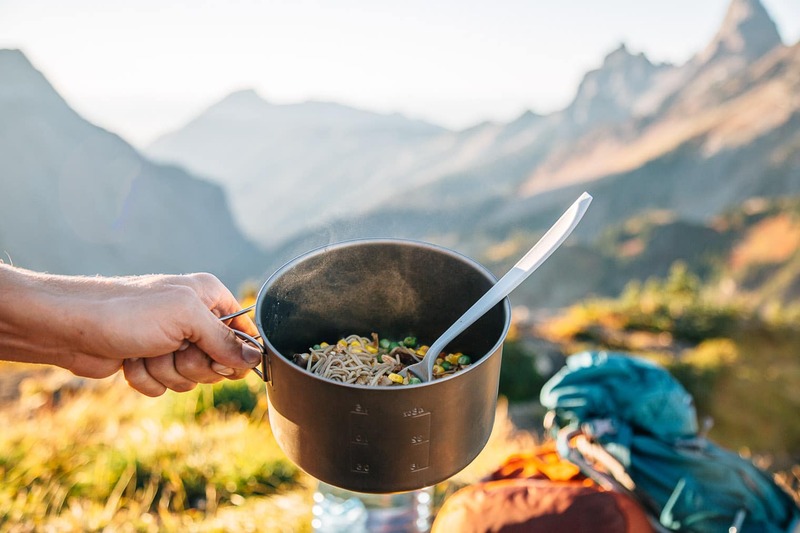 If you’ve spent any amount of time backpacking, then there’s a good chance you’ve eaten Top Ramen. 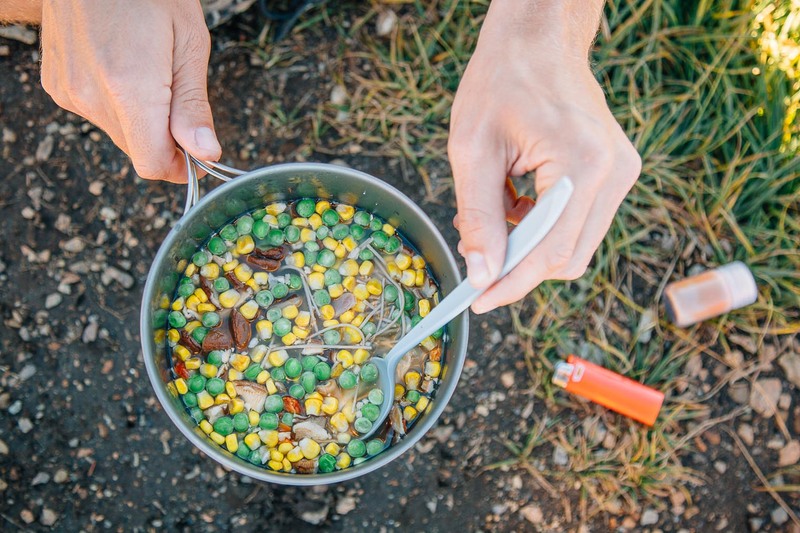 In the outdoor community, this budget-conscious “just add boiling water” meal is as ubiquitous as it is salty. But while it does deliver a sodium-powered blast of flavor, it nearly always comes up short in terms of nutritional value. 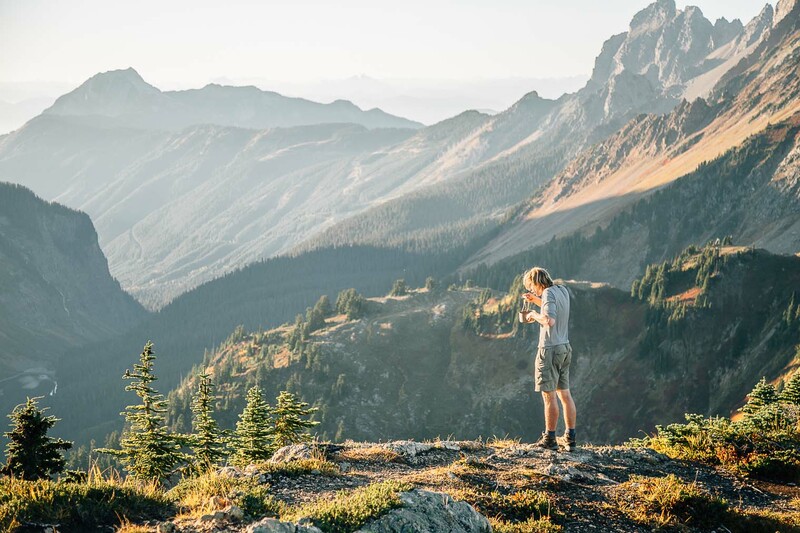 Especially if you’re putting in long miles out on the trail and burning a lot of calories, a bowl of bleached noodles and salty broth probably isn’t going to be enough hold you over. At least, it isn’t for us. So we developed a version of the recipe that offers a little more substance to go along with its satisfying flavor. To start, we swapped out the bleached flour noodles commonly found in Top Ramen and used high protein buckwheat soba noodles instead. Soba noodles can be picked up for cheap in the Asian section of most grocery stores and are often sold in bulk quantities. (There are some brands that are even gluten-free.) While they have slightly more chew than typical flour noodles, they increased protein means you won’t burn through them as quickly. We also replaced the sodium and preservative ridden flavor packet with a homemade soup base of soy sauce (or liquid aminos if you want it to be gluten-free), toasted sesame oil, and Sriracha. You can portion out these ingredients at home and put them all into a small refillable container. We then used an assortment of dehydrated vegetables to expand the overall nutritional value of the meal. These can be picked up online at Amazon, REI, and Nuts.com and we’ve even seen them carried in stores at some Whole Foods. 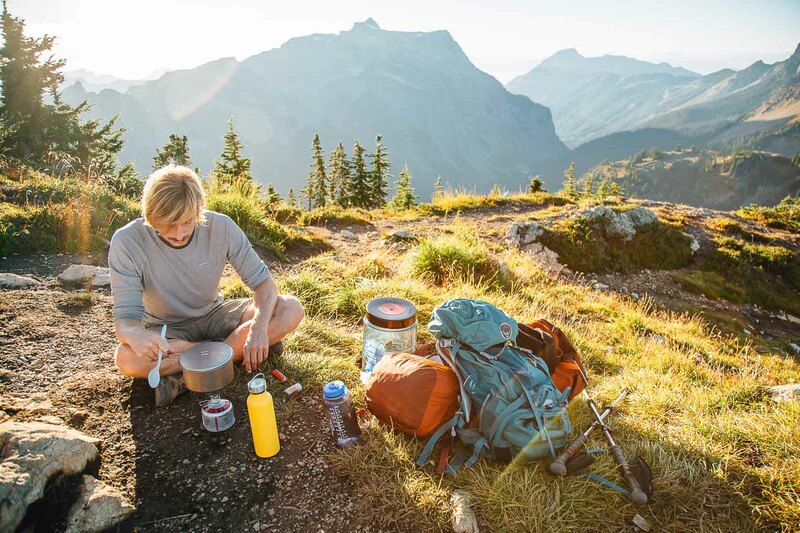 Incorporating vegetables into your meals can be difficult enough at home, never mind while backpacking. These super-versatile dehydrated vegetables make it a whole lot easier. Additionally, we used dehydrated shiitake mushrooms to boost the umami flavor and add in some more veggie goodness. And finally, drawing from traditional Japanese ramen which is served with sliced pork – we topped our backpacking version with shredded jerky. This definitely bumps up the protein of the meal and elevates the overall experience. We’ve tried a bunch of jerkies, but the one we’ve been raving about recently is this Mango Curry jerky from True Gentlemen. This stuff is just out of this world good: tender, chewy, a loaded with flavor. If you’re looking for a vegetarian/vegan alternative, we’ve also heard amazing things about Louisville Vegan Jerky. 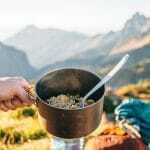 So if you often find yourself craving a big savory bowl of ramen while out on the trail, consider elevating your experience with this revamped version. You’ll be the envy of your former college self. Place the noodles, vegetables, dried mushrooms, salt, and the bag of jerky into a ziplock bag. Combine the soy sauce, toasted sesame oil, and Sriracha in a small sealable container. Remove the sauce container and jerky and set aside. Empty the rest of the ingredients into a pot. Add 2 cups (16 oz) water. Bring to a boil. Cook until the noodles are tender, about 5 minutes (time will depend on the brand you use). Remove from heat. Stir in the jerky and contents of the sauce container. Enjoy straight from the pot! Thanks for providing vegetarian/vegan resources too! Do you know if the buckwheat noodles will do ok with a quick boil and longer soak? Looking forward to trying this. Toasted sesame oil changed my life cooking at home, but I haven’t taken it into the backcountry yet! Haven’t tried a quick boil and long soak with buckwheat noodles before. We should give it a try. It might affect how the starch breaks down but will vary depending on the brand of noodle. We’ve had some noodles turn to mush and some stay hold firm. Definitely try it first at home before taking it out into the backcountry.